(Q) How frequently should dogs be vaccinated? Is it neccessary for them to be done annually? (A) Vet Roberta Baxter says: Some of the components of vaccines last more than one year and are generally given every three years, but some of the vaccine components only last around one year and a yearly booster is advisable. In our practice area the one we recommend annually is leptospirosis, which is a real risk to dogs who come into contact with water contaminated with rat urine. The distemper, parvovirus, and hepatitis portions are normally given every three years, although following a local parvovirus outbreak we have been advising that dogs have this vaccine more frequently. Bordetella and parainfluenza vaccination (in the kennel cough vaccine we use) need to be given yearly. This is another big risk locally, and not just in dogs who use boarding kennels, so we generally recommend this vaccine too. Other vaccines such as those for rabies, herpes virus, and leishmania are used in specific instances. 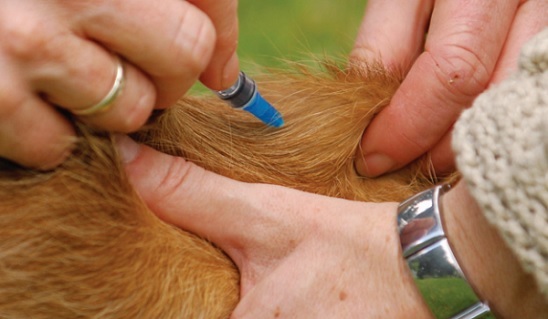 My advice would be to go to a vet you feel you can trust and have a chat about which vaccinations your dog needs. Staying with the same vet and having a good relationship with them allows accurate records to be kept, allowing informed decisions to be made in the future. Last PostShould I get one or two dogs?Next PostHow do I stop my puppy from gulping her food?